The Ciconiiformes are carnivorous birds. Wading birds catch many different kinds of animals in or near water, including shrimp and other crustaceans, fish, frogs, insects, and snails. Some also feed on small mammals, birds, and reptiles. Very few of them also eat carrion and fruit. The New World vultures feed almost entirely on carrion. Ibises, spoonbills, and some of the storks have very sensitive bills. They hunt for prey by touch, either by probing in the water and mud with their bills slightly open or by swinging their bills from side to side in the water. The other birds in the order Ciconiiformes search for prey by sight. Most herons and storks stand still or wade slowly through shallow water to stalk their prey. Some of the vultures do not have to see carrion in order to find it—in addition to having good eyesight, they also have a strong sense of smell. Goliath herons and some other wading birds feed by themselves. 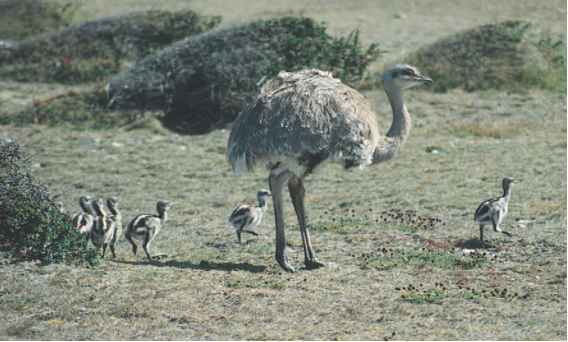 These birds protect a feeding territory as large as 3.7 square miles (9.6 square kilometers). Many other wading birds feed in huge flocks. As feeding areas dry out or get flooded, the flocks move around to find the best places to eat. Since most birds can fly, it is easy for them to move to new places. They usually move in order to find more food, water, or space. When food becomes too hard to find in winter, for example, many wading birds migrate long distances to warmer places. Then, in spring, the birds fly back to the places they left and get ready to raise a new family. Wading birds often move shorter distances, too. This kind of movement is called dispersal. Most wading birds depend on shallow pools of water for their food, and many of them live in areas that have rainy seasons and dry seasons. As the pools of water shrink and grow, the birds disperse to areas where the water is just the way they like it. The wading birds' champion mover is the cattle egret. These egrets used to live just in Africa and Asia. Then some of them flew across the ocean to South America. The first cattle egrets appeared in Florida in 1940, and by now they have spread all across North and South America.